The legendary land of Maharajas, the state of Rajasthan embodies the vision of One Thousand and One Nights more than any other region of India. This is the land of shepherds, proud Rajputs and desert nomads but it is also the land of majestic palaces, exquisite havelis and colorful houses. Pushkar is one of the traditional towns where time seems to stand still, and life is interspersed between dream and reality. In the heart of Rajasthan, surrounded by the Aravalli Range in the south and by the Thar Desert on the west, the small holy town of Pushkar reflects the cultural and traditional heritage of North India. Stories differ regarding the founding of the city, but the most famous tribute is to the Hindu God Brahma. According to legend, while flying over land on the Swan discernment, he sank the lotus of light in the same place where the Pushkar Lake was formed. Push means “flower” and kar “what has been done.” Pushkar is therefore one of the few shrines dedicated to Brahma in the world. Built around the lake, Pushkar is a jewel in the lush desert mountains of the Aravallis. 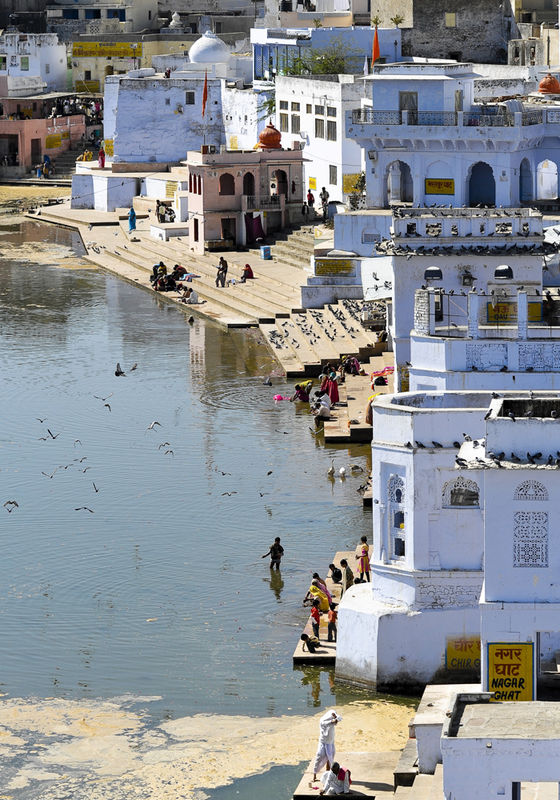 The majestic white palace ghats reflected in the sacred waters give the city a magical air. When the sun rises in the desert and ghats, Pushkar slowly wakes up in an oriental dream. Considered a holy city for Hindus, thousands of pilgrims purify themselves every day in the waters of the lake and receive the blessings of the Brahmin priests. Once a year, in October or November (according to the Hindu lunar calendar), the city comes alive and dons its most beautiful colors to host the most famous camel fair in the world. Thousands of traders, desert nomads and cattle dealers descend upon the town to buy, trade or compare livestock. During 5 days, the town experiences a joyous fever. Women wear their finery and enjoy the fair to sell or buy jewelry and charms. Magic shows, camel races, horse parades, traditional dances: the atmosphere is festive for families and foreigners involved. This year’s fair runs from November 19th to 25th. During the five days, you can enjoy all the activities organized for the occasion and attend amazing performances: camel races or beauty contests for horses. Two days are enough to enjoy the show and the typical city of Rajasthan. Fall is also the perfect time to discover this mythical region in a pleasant climate. Start with the Shekhawati and end your journey in Agra and visit the fabulous Taj Mahal. You can discover the cities of Bikaner, Jaisalmer, Jodhpur, Udaipur and Jaipur and revel in the treasured architectural and cultural heritage of this region of northern India. 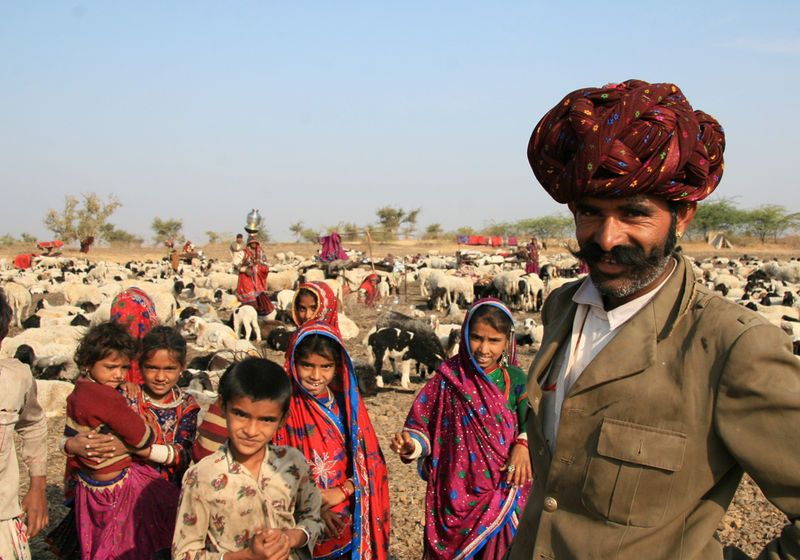 Shanti Travel can take you to the Pushkar Fair in a group tour. You can also go as independent travelers to Rajasthan with us and enjoy complete freedom on your customized trip! 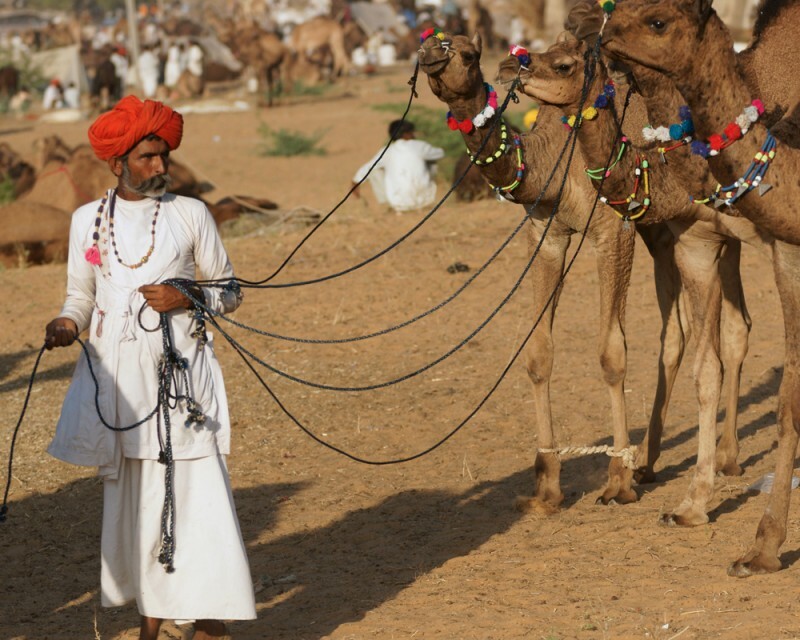 Pushkar camel fair is a once-in-a-lifetime opportunity.Thansks for sharing this wonderful info.